December’s party season is within touching distance, so it’s time to get your skin in the best shape it’s been in just in time for the Christmas parties. During this festive period the drinks are flowing, late nights are common, and the cold crisp air is biting at our skin. While these things (minus the cold weather) might seem luxurious and fun, all three of them work against our skin to dull it. This year, fight the festivities while still indulging a little with a tailored skin detox. Here are our top tips on how to detox your skin and which treatments will benefit that healthy glow. Prepping your skin for a detox is important. Because your skin isn’t just susceptible to topical products, we need to consider its processes and needs that aren’t skin deep. For example, your diet and fluid intake can show itself on your skin in the form of (or lack of) blemishes, dry skin, and oil production. Adding ‘beauty foods’ to your diet that contain vitamins and nutrients will help fortify your skin from the inside out. Try snacking on blueberries, beetroot, and citrus fruits to your diet. Vitamin C is used in a lot of topical skincare products to better your skin’s health, so adding it to your diet could also add to your skincare routine. As always, plenty of water is advised to keep skin hydrated and dewy. This is why we offer nutritional therapy services, because we appreciate that long-lasting skin health isn’t made just on the surface. Facial cleansers and cold water often aren’t enough for lasting changes in the skin, so it’s important to consider other factors that impact how our own systems work. Everything we put into our body is used and expelled somehow, and this is why a bad diet can show on your skin in the form of blemishes, breakouts, and tired-looking skin. We offer plans that include diet, lifestyle, and recipe guidance where needed, so detoxing your skin can get off to a successful and proactive start. Because your body’s health can become visible on your skin, it’s important to take care of what’s on the inside as well as the outside. Treatments such as intravenous drips have soared to popularity because they offer a busy lifestyle the nutrients and vitamins it needs. We use intravenous drips to energise, detox, and relax so that skin and personal health can be maintained in tandem. Flushing your system with carefully balanced and coordinated nutrients is important to maintaining a healthy body function, detoxifying the skin and improving a balanced complexion. A skin detox wouldn’t be complete without directly addressing the skin, our first barrier against the world. Taking care of what’s on the inside is important, but when we combine this approach with topical treatments that reach deeper levels of the skin we can truly begin to see change. Winter skin is left tired, dull, and often dry, so it needs a more powerful exfoliation to shed the greying skin cells and let the healthy skin through. This is why we recommend chemical peels as part of a skin detox treatment plan. Chemical peels force your skin to shed the damaged and dead skin cells from its surface, forcing a fresh layer to prepare while your skin heals itself. This healing also produces fresh collagen, skin fibres that provide strength and bounce, not to mention introducing a fresh-faced glow. Forcibly shedding the dead skin cells also unblocks pores and helps to rebalance oil production, bringing your unruly skin back under control and freeing you of harmful agents. Utilise richer moisturisers, cleansing, and mild weekly exfoliation after your chemical peel has healed to better fortify your skin this winter. A skin detox should be done before and after the festive period – one to prepare for it, and one to repair the damage of it! Christmas is full of fun and family photos, so look your best before, during, and after it by paying attention to your skin’s needs. 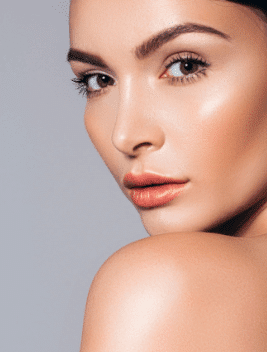 For all of our skincare and health services, enquire online or speak to a member of our team on 020 7584 4777 today.